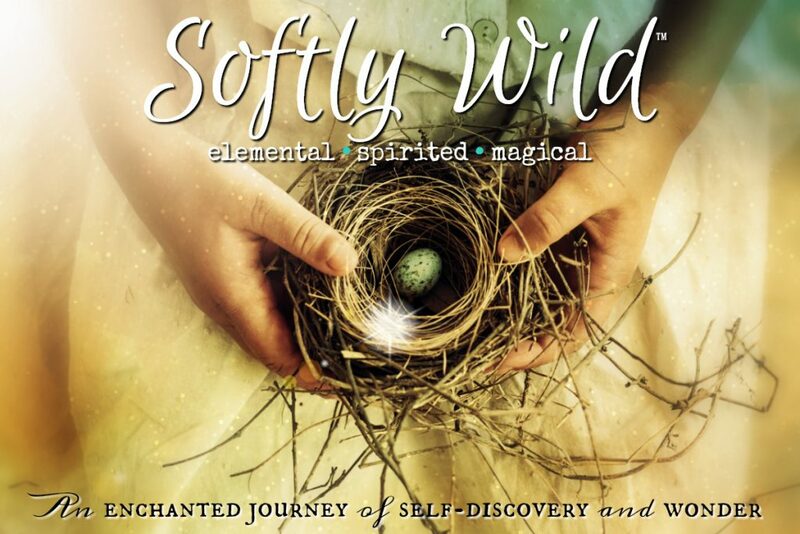 Softly Wild is a six-week journey for discovering a more soul-centered way of being and doing in your life that feels natural, creative, and nourishing. It’s a path for those who hunger for more meaning, magic, and soft wildness in their days. Inside of every woman is a Softly Wild Spirit just waiting to be claimed. She shows the way for deeper connection to our body, senses, intuition, and inner wisdom. She aligns us with the rhythms, energy, and mystery of the natural world around us. She is you…vibrant and shining from within. We live in a constantly on, clamoring, busy-worshiping world that often leaves us feeling stressed, worn out, and disconnected from ourselves. It can cause us to lose touch with who we are and what we even need or want to be happy and thrive. It’s no wonder when we feel overloaded, overstimulated, and overwhelmed so much of the time. It can be hard to remember who we are some days or remember where our path lies when the world is coming on so strong. Softly Wild helps you to reconnect with your inner wisdom, intuition, and the natural world around you, so you will always know where your true north lies. And that’s where the real magic and adventure begins. When you feel those connections and can bring them to your life, all sorts of wonderful things start happening. You become more certain of who you are and what’s most important to you. You become more grounded in your own truth, body, and wisdom, and Nature’s energies and rhythms. Your creativity comes alive, and wonder and joy become your traveling companions. And the next steps on your path start opening up with more ease and clarity. Life is too short to be anything less than who we truly are. At some point we wake up and understand. It’s time. Subscribe to receive my Field Notes dispatches and announcements to stay in the loop with all the Mojo Lab magic. I send out announcements for new classes (+ subscriber-only juicy discounts) and other offerings, “field notes” from my adventures at home & across the hedge, inspirations, sneak peeks and intel of new offerings in the works, and other goodness. You desire a deeper connection with yourself, your inner wisdom and intuition. You are drawn to Nature’s beauty, wisdom, and mystery. You want to inhabit yourself and your life more fully ~ to be more grounded, centered, and embodied. You crave more soft time in your life ~ more “you” time ~ and the support of a sparkling sisterhood. You yearn for more wonder in your life, more creative spark, joy and ease. If so, then Softly Wild is for you. An experience and shared journey rather than a classroomy kind of course. We walk this path together and I’ll be there every step of the way. Consider me your guide and field companion on this spirited expedition. Rich lessons delivered to you online four days each week, each one designed and written with soul and love. Sprinkled throughout are a variety of audio and video recordings to keep things lively. You receive a new Quest Invitation in every lesson so you can explore the Softly Wild concepts, tools, and practices in your own way and on your own schedule. All of the lessons are hosted online here on the Mojo Lab in a private member’s area. It’s cozy, secure, and blissfully away from the fray. 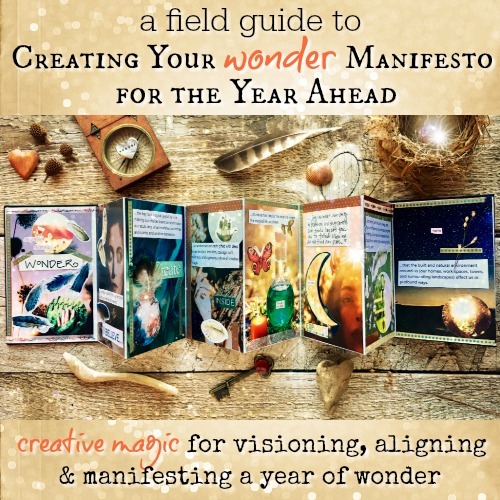 Journaling prompts, guided visualizations and meditations, and a variety of activities to unleash your creativity, intuition, and visioning ~ all designed to let you dive as deep as you desire. We have a private discussion group where the Softly Wild sisterhood gathers together to share our adventures, inspiration, and insights. 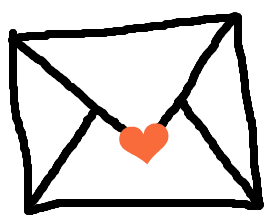 Consider this our online field camp where we pitch our virtual tents and gather around the campfire each day to chat, laugh, and support each other along the way. Whimsy and playfulness woven through the lessons and exercises. Sacred play (and a touch of magic) is an important part of this adventure. The quests provide form and inspiration for your own reflection, exploration, and discoveries ~ and a variety of creative ways to express your Softly Wild Spirit. Introduction to core Softly Wild concepts and an array of essential tools, practices, and resources to help you reconnect with your magic and integrate the lessons into your daily life (and work). During the first week, we prepare for the adventure together ~ choosing our Field Notebooks, going over Softly Wild concepts, gathering inspiration, and exploring our own personal magic. The second week we’ll take our first steps on the path by deliciously re-inhabiting ourselves through sacred embodiment. We explore body devotions, body wisdom, the care and feeding of our softly wild bodies, grounding and centering, and other deliciousness. This week we’re in sacred explorer mode ~ aligning ourselves with Nature, connecting with our Power Animals, opening to Nature’s messengers, and identifying our own sacred space in nature. Throughout this week, we focus on our home habitats. We explore ways to make our nest a natural, sacred, and beautiful refuge ~ one that supports us and our dreams, nourishes us, and where we can feel at ease. During the fifth week, we explore a variety of Softly Wild practices for tuning in to our inner wisdom and intuition…and connecting more deeply with Nature’s mysteries, wisdom, and healing energies. In this final week of the course, we draw the threads from our journey together. 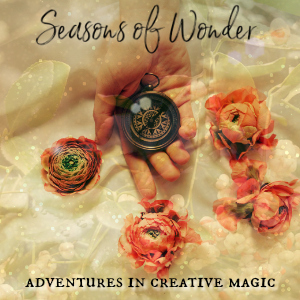 We explore ways to creatively express and honor our Softly Wild Spirit at work and in the world ~ and cultivate practices to keep the magic going after the course ends. Does the class meet at specific times? No, that’s the beauty of this kind of e-course. New lessons are posted four mornings a week (Monday, Tuesday, Thursday, and Friday), so you can do them at whatever time is best for you. 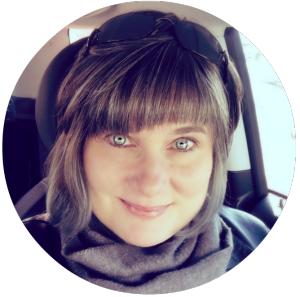 We have a private Softly Wild online group where we hang out and share our adventures around the virtual campfire, but there are no specific times we’ll meet there. You can just pop in and participate whenever works best for you. And yes, the private group part of this is optional, but I encourage everyone to join in since that’s where our community meets (and where the connections, sharing, and support happens). Will anyone outside of our course be able to see our posts in the discussion Group? Nope. Our private group is safe space, which means no one outside of our group will see our posts. Are there required course materials? You’ll need email and high speed internet access for the duration of the course. Outside of digital access, you will primarily need a sturdy bound notebook (a hard cover composition book works beautifully for this). This is a key tool we use throughout the course. You’ll be using it to document your adventures, collect inspiration, journal, and do the course exercises. Basic office supplies like tape, a glue stick, scissors, and some magazines for clipping inspiring images will also be needed. We’ll be working with smudging/energy clearing as well, so a small bundle of sage (or sweetgrass) and a candle will be helpful to have on hand. I’d be delighted to answer them. Please feel free to contact me. Your Softly Wild Spirit is wise with childlike wonder. She is gentle with fiery strength. She is feminine and a little fey. She is awake with dreams. She’s you …vibrant and shining from within. Are you ready to bring more soft wildness to your days? …in magic, especially the magic we conjure with our creativity and intention. …as women we are each gifted with deep inner wisdom, intuition, courage, soft wildness, and a generous dose of creative magic. …that the built and natural environment around us (our homes, work spaces, towns, and surrounding landscapes) affect us in profound ways. … connecting with the spirit, energy, and rhythms of Nature is not only satisfying and enriching, it is an essential ingredient for a happy life, a healthy mind and body, and a sparkly spirit. … the key to a magical, joyful life is in making our choices based on what makes our souls sing, what nourishes our bodies and spirits, and creative expression. …it’s never too late (or too soon) to create the magical life we desire.